Complete your House Doctor Rustic dishware with this awesome Rustic milk jar. 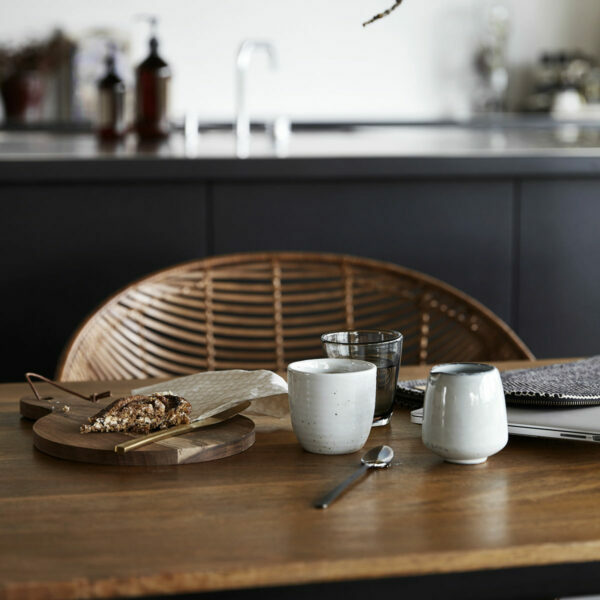 By seeing this cool Rustic milk jar you feel like having a cup of fresh coffee with a little bit of milk, even when you usually drink black coffee. 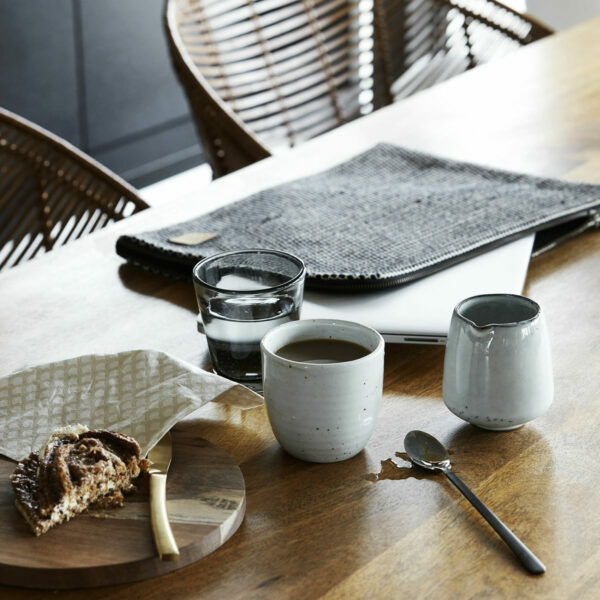 Maybe you already have some nice items of the House Doctor Rustic dishware at home. This cool Rustic milk jar is an extension of this great porcelain series and it should not be missing in your collection. The House Doctor Rustic milk jar comes with a matching lid. 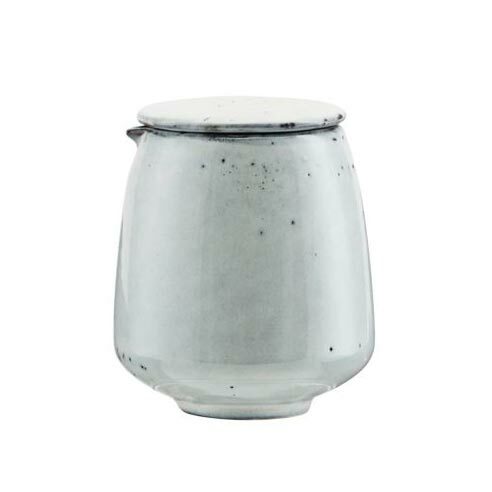 The diameter of the Rustic milk jar is 8 centimeters, it is 9 centimeters high. Characteristic for House Doctor’s rustic tableware is the tough blue / gray pastel shade. Even as the other items, this rustic milk jar is also handmade. Each jar has its own rustic look, so you really get a unique product! In addition to these special features, this rustic milk jar is also practical, it is dishwasher safe. That’s a feature you’ll definately love! 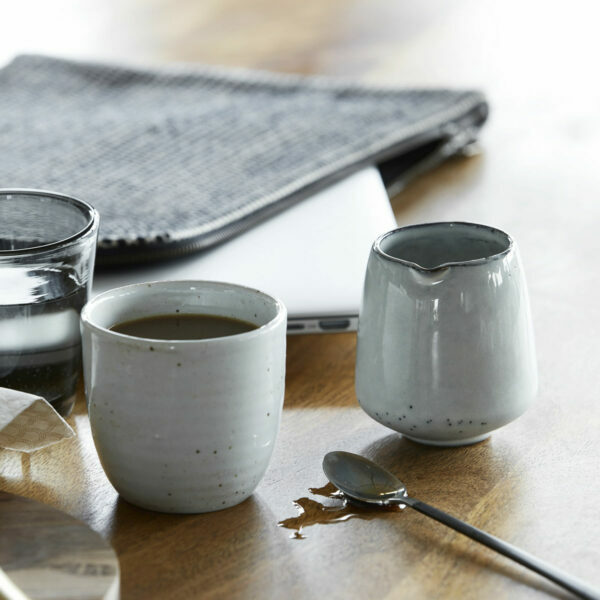 In addition to serving (coffee) milk, this rustic jar can also be used as a rustic soy jug. Perfect with delicious fresh sushi. 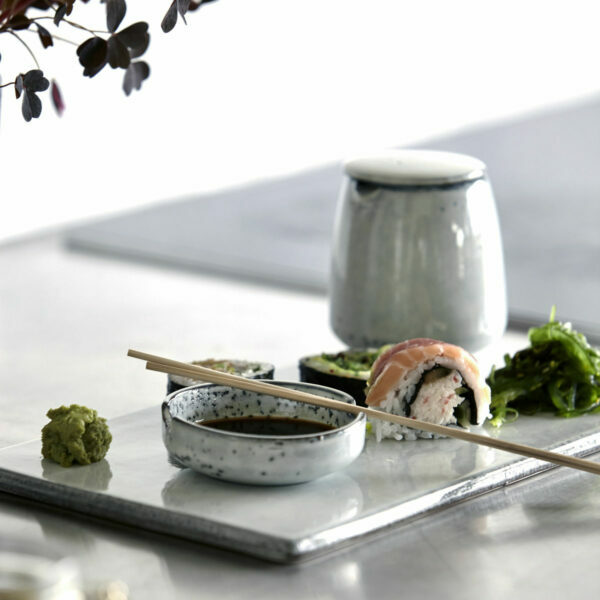 The rustic soy jug fits exactly in the round recess of the rustic sushi plate. A perfect match!